On 9 and 10 January 2019 CIFE organised a two-day simulation of a Summit of the European Council tackling the future of Europe with a special focus on EU-Turkish relations. The simulation took place in the framework of the HORIZON2020 Project FEUTURE. Internal and External Dimension of Migration - Is the EU-Turkey-Agreement still appropriate or does it need to be revised? - Can it be seen as a blueprint for other neighbouring countries? - How to combine responsibility and solidarity in the Dublin reform? Enlargement - Should the EU adjust its enlargement policy in response to recent developments in Turkey? - Are the EU institutions ready for further enlargement? - Does the pre-accession assistance need to be revised? - If further enlargement is to happen, which countries should join and what would be the time frame for accessions? - Economic Policy in the EU and its Member States - What should be the EU’s economic policy? - Should states stick to the principle of austerity or should it be abandoned in favour of expenditure-led growth? - Must countries stick to reforms imposed on them? - How to deal with current economic issues in the Member States? - Institutional Reform - How should European integration proceed? - What can be done to counter Euroscepticism? - Should the EU institutions get additional competencies? - Should the member states retain their powers, or should they even reclaim powers from Brussels? Should possible reforms apply to all Member States or should there be more flexible integration? 36 participants represented 12 actors (the Presidency of the European Council and 11 Member States) and engaged in a lively debate about the future of relations between the European Union and Turkey in particular. The simulation was preceded by two weeks of pre-negotiations via an online-platform and was moderated by the simulation game experts of planpolitik. The presence phase of the simulation phase in Nice was introduced with an insightful lecture of Dr Funda Tekin, FEUTURE Project Leader and Director of the Institut für Europäische Politik (IEP), Berlin. On December 14th 2018, CIFE – with the support of NATO Public Diplomacy Division – organised a conference in Nice on ‘Challenges in the South: Strengthening Transatlantic Cooperation’. Diplomats, scholars, journalists and students took this opportunity to come together and ponder the priorities of the Alliance in the South, exploring the possibility for new cooperation networks.The event was organised in response to the July 2018 Brussels Declaration concentrating on NATO’s determination to fully implement its Framework for the South and develop the full capability of the Regional Hub for the South, enhancing NATO’s ability to anticipate and respond to crises, improve capabilities for expeditionary operations, and project stability through regional partnerships and capacity building efforts. Participants agreed that the decision of Alliance to do more to help allies to tackle terrorism at home and provide support to its partners is of high significance. They also examined the European Union’s steps to further develop its defence policy, finding these actions to be complementary to NATO’s role and even having the potential of contributing to further security in Europe. Topics: The War in Syria: From Revolution to Regional Crisis. NATO and Challenges in the South. The New Security Environment in the Mediterranean. Regional Stakes in the Mediterranean. CIFE and the School of Government of LUISS Guido Carli are pleased to associate their renowned researchers and experienced professionals in an innovative Joint Master programme in Global Economic Governance and Public Affairs: Students will live together one year of a lifetime experience, studying in Rome, Berlin and Nice, and learn how, today more than ever, Governance is a game changer in the global economy. The Master programme will be focused on how to assess, manage and enhance private and public institutions’ governance with a wide range of economic and digital intelligence tools. It will combine on-site teaching, case studies, consulting missions, research thesis, and distant learning tools. The programme starts in October 2018. Herman VAN ROMPUY, former President of the European Council, is elected CIFE’s new President. Former President of the European Council and Belgian Minister of State, Herman Van Rompuy, was elected President of the Centre international de formation européenne (CIFE) on 26 January. He succeeds Philippe Maystadt, appointed in January 2015 and deceased in December 2017, and Jean-Claude Juncker, President of CIFE from 2005 until his election as President of the European Commission in 2014. The new President of CIFE has enjoyed a brilliant career in both Belgian and European politics. A former economist at the National Bank of Belgium, Herman Van Rompuy began his political career in 1973 as national vice president of his party's youth movement. He has held various posts within his party and in the Belgian Parliament, serving in turn as Senator (1988-1995) and Member of Parliament (1995-2009). He has also served in Belgium as Speaker of the House of Representatives (2007-2008) and in several government positions, including that of Deputy Minister and Budget Minister (1993-1999), Minister of State (2004) and Secretary of State for Finance and Small Businesses (1988). Herman Van Rompuy was Prime Minister of Belgium when he was elected first permanent President of the European Council in November 2009; he took office when the Lisbon Treaty came into force on 1 December 2009. In 2012, he was re-elected for a second term, starting on 1 June 2012 and running until 30 November 2014. Today, Herman Van Rompuy also chairs the European Policy Centre (EPC) and the Francqui Foundation and is a visiting professor at several universities. L'Europe vient de perdre un grand européen. Europe has lost a great European. Europa hat einen großen Europäer verloren. We are saddened to learn that Philippe Maystadt, CIFE president from 2015 to 2017, Belgian statesman, talented finance minister, and a convinced European, has passed away on 7 December 2017. We extend our condolences to his family and friends. CIFE's first ever TEDx event in Nice on 7 October 2017. We are happy, proud and thankful for our first TEDx experience. Six dynamic speakers - five of them CIFE Alumni and some of them coming from far away – tackled the topic “transition” from a multitude of points of view. Nina Frauenfeld, coach in intercultural communication, spoke about the power of building bridges. George N. Tzogopoulos, CIFE Senior Research Fellow and Lecturer at the Democritus University of Thrace, Greece, gave introspections into the transition of the Media. Anne Topenot, French trainer and mediator, tackled the role of personal life transitions as soft or sharp cuts. Fabian Luetzig, an experienced Life and Business Coach for Young Professionals, Entrepreneurs and Students who joined us from New York, discussed the challenges of a changing job market where manpower is replaced by robots. Petek Jinkins, CIFE Alumna of Turkish origins and experienced multi-expat, talked about the competence of reinventing oneself and re-adapting one’s professional competences to a new surrounding. Georgi Kamov, innovation consultant and design thinking coach from Bulgaria, concluded the event with his reflections on the EU’s potential of innovation. Don't miss the videos on our Facebook page! Jean-Antoine Giansily has been elected new president of CIFE after the resignation of Philippe Maystadt for health reasons. After Philippe Maystadt's resignation from the CIFE presidency for health reasons, the Board of Trustees has elected Jean-Antoine Giansily as new President. Jean-Antoine Giansily, first vice president of CIFE, former vice president of the Committee on Budgets of the European Parliament, has served as senior civil servant in French public administration. He will be acting as President until the end of Philippe Maystadts statutory term. The Board of Trustees expresses his gratutude to Philippe Maystadt for his decisive action in favour of CIFE. Dr. Michael MEIMETH, Director of CIFE´s Overseas University Programs (OUP) visited China from March 8 to March 17, 2017 to introduce CIFE to major Chinese universities in Shanghai and Kunming (Yunnan Province, Southwest China). During his 10 day stay in China he visited the Shanghai University of Science and Technology (USST), the East China University of Political Science and Law (ECUPL), Shanghai, the Shanghai University and the Yunnan University in Kunming to promote CIFE´s EU-China Winter and Summer School programs. All these universities showed a strong interest in developing institutionalized relationship with CIFE and will actively promote CIFE´s EU-China Winter and Summer School programs at their various university campus. Even more important, Chinese students who have already participated in previous years in CIFE´s EU-China Summer and Winter programs will spread the information about these programs among their fellow Chinese students. With this, these „alumnis“ will actively support the recruitment for 2017 EU-China Summer School in Greece (15.07.-05.08.2017) and the 2018 EU-China Winter School which will take place from January 30 to February 13, 2018 at the European Academy Otzenhausen (EAO). CIFE is very glad to welcome the Chinese students for both of these prestiguous CIFE European Studies Abroad Programs! It is with great sadness that we learned of Jean-Pierre Gouzy's death on Friday, February 17,2017 in Paris, at the age of 91, two months before his 92nd birthday. Jean-Pierre has been involved in all the battles for Europe since the Second World War. Convinced of the need to build Europe, and a European militant since 1947, he took part in all the major federalist actions on our continent, without ever hesitating to look at them lucidly. So he was both an actor and a great witness of that time. As a young journalist, he was commissioned to cover the congress in The Hague in May 1948, when he also participated as a French delegate. It was at this time that he met and followed Alexandre Marc. He was the first secretary general of CIFE from its creation in 1954 until 1982. He was later appointed Deputy Director of CIFE, then Vice President until 2015, when he decided to take a well-deserved militant retirement. This did not prevent him, as an honorary member of CIFE, from participating in the Board of Directors and General Assembly of December 2016. Jean-Pierre had also been editor-in-chief of our magazine, Europe in Formation, before becoming its political director, where he had published numerous articles. Since 1965, he had been working under the rubric of "political life", in which he presented every month and then every quarter, with a critical approach, but with constant enthusiasm, European and international news. When CIFE moved from Paris to Nice in the early 1960s, Jean-Pierre, who remained in Paris, became CIFE's representative in the capital. From then until the beginning of this year, he never failed to call us, at least twice a month, to participate in the decisions of CIFE, and to support them by its action. He was particularly fond of Europe in training, both as a journalist and as the founder of Europe. Having always refused to write his memoirs, he had nevertheless published in 2009 a "History of Europe 1949-2009", presenting a federalist testimony of the half century that had passed. We will remember from Jean-Pierre the figure of one of the great founders of CIFE, with constant fidelity and European federalist militancy tied to the body, but also the generous and faithful friend, the one we met around a good meal in order to exchange joyfully on the most diverse themes. has started in October in Berlin with a great intake of highly motivated fellows and professors. We are looking forward to interesting and challenging study years. “The EU, Central Asia and the Caucasus in the International System” (EUCACIS). CIFE and the Institut für Europäische Politik (IEP) start the PhD Support Programme “The EU, Central Asia and the Caucasus in the International System“ (EUCACIS). Funded by the Volkswagen Foundation and the Erasmus+ Programme, it offers scholarships for three years to excellent postgraduates who are working on a doctoral thesis in political science, contemporary history or economics on a topic of the programme’s focus at a university in the Southern Caucasus or Central Asia (including Afghanistan, the Kashmir region in India, and the autonomous region Xinjiang in China). For further information please contact: euro-mediterranean-studies@cife.eu. Philippe MAYSTADT has been elected CIFE President. Philippe Maystadt, former Deputy Prime Minister of Belgium and President of the European Investment Bank (EIB), was elected President of the Centre international de formation européenne (CIFE), in Brussels on 20 January 2015. 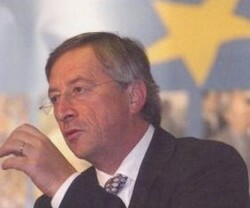 He succeeds Jean-Claude Juncker who was president of CIFE since 2005. Besides his brilliant political career, mainly in economic and financial affairs, Philippe Maystadt has been professor of public economic law at the Catholic University in Louvain. Currently, he is the President of the Academy of Research and Higher Education (Académie de recherche et d’enseignement supérieur ARES) of the federation Wallonia-Brussels. Third semester’s kick-off workshop and international conference on the EU – Central Asia relations took place in Almaty, Kazakhstan. From 23 until 30 August 2014, the third workshop of the online master programme „Studies on the EU and Central Asia in the International System“ (EUCAIS) took place in Almaty, Kazakhstan. It was the kick-off for the programme’s third semester and, at the first time since the launch of the programme in 2010, took place in a Central Asian town. The workshop has been attended not only by the programme’s current students, but also by EUCAIS alumni students, who benefitted from the workshop’s lectures and contributed to the networking among the present and alumni students and experts. Apart from the workshop and conference programme, students, alumni and conference participants discovered Almaty and its surroundings, as for most participants the visit in Kazakhstan was a premiere. Insofar, the event also contributed to the cooperation and understanding in between Central Asian countries. "The EU, its Eastern Partnership and Georgia"
First step of the Joint Project "The EU, its Eastern Partnership and Georgia - 2014, the year that changed all?" organised by the Office Franco-Allemand pour la Jeunesse (OFAJ/DFJW) in cooperation with the Centre international de formation européenne (CIFE), the Youth Association DRONI and the Europäische Akademie Otzenhausen. 24 very motivated participants from France, Germany and Georgia met together with representatives of German Think Tanks, German Ministry of Foreign Affairs, Georgian and French Embassies. The participants of the Danube Summer Institute (DSI) arrived in Berlin last week after they concluded the Istanbul opening week before. They will get to know the city, meet decision makers, visit institutions and learn from prolific experts of economics, political science and law. Until 10th of August the group will also travel to Poznan, Vienna, Budapest and Prague, always in the spirit of intercultural exchange and improving the transatlantic relations, while learning about local, regional and European characteristics. The DSI is a cooperation of the Texas A&M University and CIFE. CIFE had the pleasure of inviting its Alumni to the dinner which took place in Brussels, in the presence of the students of the 2013-2014 class (trilingual and anglophone branches of the Master programme) on Wednesday 12 March 2014, at the ‘taverne La Brouette’. "Valéry Giscard d'Estaing et Helmut Schmidt. Une histoire d'amitié". 10 December 2013, 22.25 h on ARTE a documentary on the friendship between Helmut Schmidt and Valéry Giscard d'Estaing, with the participation of Matthias Waechter, Director General of CIFE. For those who missed it: The documentary can be seen on the website arte+7 till 16 December 2013. UN Youth Envoy speaks at opening ceremony in Istanbul (Turkey), of Master in Advanced European and International Studies programme at Bilgi University’s. The UN Secretary-General’s Envoy on Youth Ahmad Alhendawi (MAEIS alumna), currently on an official mission to Turkey, spoke yesterday at Bilgi University’s opening ceremony of this year’s “Master in Advanced European and International Studies.” The Youth Envoy delivered the inaugural lecture on “The UN’s Commitment to Youth in the 21st Century". The Administrative Board of CIFE has appointed Matthias Waechter as its new Director General with effect from 1 August 2013. Waechter, who holds a PhD and a “Habilitation” in Modern History, has been directing the Institut européen•European Institute (IE•EI), a department of CIFE, since 2005. He is also an Adjunct Professor at the University of Freiburg. In CIFE's programmes, he teaches European integration, the history of International Relations and comparative political systems. He has widely published on US history, contemporary French history and Franco-German relations. His book "Der Mythos des Gaullismus" (2006) was awarded the Franco-German parliamentary prize. Matthias Waechter succeeds Hartmut Marhold, who has led the institution since 2002. The Europa Institut (EI) of Saarland University, Germany, the European Center of Economic and Financial Law (ECEFIL) of Panteion University, Athens, Greece, and the Centre international de formation européenne (CIFE) organize the 2013 Summer School on Spetses Island in Greece, close to Athens, the capital, with the topic "China and the EU as Partners - Law, Politics, Economics". Interview with Jean-Claude Juncker: Who is responsible for the debts? Who is responsible for the debts? Jean-Claude Juncker, Prime Minister of Luxembourg, former President of the Eurogroup and President of CIFE (2005 - 2014), in a long interview with the German TV channel ZDF on the reasons for the global financial crisis. 17 January 2013 – United Nations Secretary-General Ban Ki-moon has appointed Ahmad Alhendawi of Jordan (Alumna MAEIS Anglophone branch Academic Year 2011/2012) as his Envoy on Youth, a spokesperson for the world body’s chief said today. The European Energy Exchange has created an award for outstanding academic theses in the field of energy. Among this year's laureates is Ellennor Grace M. Francisco, Alumna of the MAEIS, Anglophone branch 2012/13. She was distinguished with the EEX Excellence Award for her thesis on "Petroleum Politics: China and its National Oil Companies". To the ceremony in Brussels assisted as guests of honour Peter Altmaier, Head of the Federal Chancellery and Federal Minister for Special Tasks, and Jos Delbeke, Director-General for Climate Action of the European Union. Photo: From left to right: Daniel Wragge, Head of Political Communications at EEX and MAEIS Alumnus 2004/05, Ellennor Francisco, one of the five winners of the EEX Award, and Nelli Mikkola – both MAEIS Alumnae 2012/13. L’année 2011 a été marquée par de profonds changements sociopolitiques, économiques, et géostratégiques de la rive sud Méditerranée. The graduate programmes in European and International Studies offered by CIFE are now recognized by the French state. With ministerial order of 6 April 2012 published in the Official Journal of the French Republic of14 April 2012, the French government has registered in the National Register of Professional Certifications (Répertoire National des Certifications Professionnelles) (RNCP) the title "Chargé de mission en organisations européennes et internationales". The degree is registered on the level I (Master level), which corresponds to the level 7 of the European Qualifications Framework (EQF). The future graduates of the Master programmes of CIFE will receive this degree. Remziye Yilmaz (MAEIS 2010) distinguished with the EEX Excellence Award. Remziye Yilmaz (MAEIS Anglophone Branch 2010) distinguished with the EEX Excellence Award. The European Energy Exchange has created an award for outstanding academic theses in the field of energy. Among this year's laureates is Remziye Yilmaz for her thesis on "The Interdependence between Energy and Foreign Policy: Russia and Turkey as Case Studies". She received the prize on the occasion of the opening of EEX's Brussels office, in the presence of EU Commissioner Günther Oettinger. Minister for EU and Chief Negociator of Turkey Egemen Bagis, Secretary General Ambassador Volkan Bozkir and Ambassador Acting Secretary General for EU Affairs Haluk Ilicak, welcome the participants/group of the Master in EU Studies from Centre international de formation européenne during their workshop of the European Online Academy in Istanbul on 25 September 2010. The Master in EU Studies Online is a postgraduate online study programmes which combines e-learning and presence working phases. CIFE has been audited and certified ISO 9001: 2008 for the quality management of its activities in the field of higher education, academic teaching and publications. This certification concerns CIFE’s four offices in Nice, Berlin, Brussels, and Istanbul and refers more precisely to its international and interdisciplinary Master programmes including online courses, intercontinental programmes, summer sessions, conferences, the quarterly academic journal, in the field of European and international studies. This certification has been delivered by Bureau Veritas Certification. Mr. Jean-Claude JUNCKER, reelected President of CIFE. • Daniel WRAGGE, 35, Head of Political Communications at European Energy Exchange AG (EEX), Alumnus of CIFE’s European Institute, Nice (IEHEI, 2004-2005), German. All outgoing Board members have been re-elected.
" Der Mythos des Gaullismus. Heldenkult, Geschichtspolitik und Ideologie 1940-1958" (Wallstein). (This Prize is attributed each year by the National Assembly and the Bundestag in reward of work that contributes to better mutual understanding between the two countries in areas such as justice, politics, economy, social and human sciences). The prize was conferred at the National Assembly on 14th February 2007, on the occasion of the annual meeting of the presidencies of the National Assembly and the Bundestag, by M. Jean-Louis Debré, President of the National Assembly, and M. Norbert Lammert, President of the Bundestag. The first debate took place on Tuesday 30 January 2007. The topic of these events launch was : "Turkey 's Accession and the European Union's Integration Capacity". Alexander STUBB, EU EP Rapporteur, Deputy Head of the Mission of Turkey to the European Union. Nice, le 23 novembre 2005 - Jean-Claude JUNCKER, nouveau Président du Centre International de Formation Européenne. Jean-Claude JUNCKER, Premier Ministre luxembourgeois et Président de l’Eurogroupe, a été désigné Président du Centre International de Formation Européenne par l’Assemblée Générale du CIFE, réunie à Nice, le 22 novembre. Note aux journalistes : Le Centre international de formation européenne (CIFE) a été créé en 1954 par Alexandre MARC (1904-2000), un des grands penseurs du fédéralisme « personnaliste ». Lundi 9 mai 2005, dans le cadre de la célébration de la journée de l'Europe, les dirigeants du CIFE et de l'IEHEI ont officiellement signé, avec les dirigeants de l'Université de Bahçesehir le protocole d'accord créant le nouveau DIPLOME DES HAUTES ETUDES EUROPEENNES ET INTERNATIONALES - ISTANBUL dont les enseignements ont débuté en octobre 2005.
. M. Claude NIGOUL, Directeur de l'IEHEI.